The main event starts tomorrow in the VTB Ice Palace sports arena. 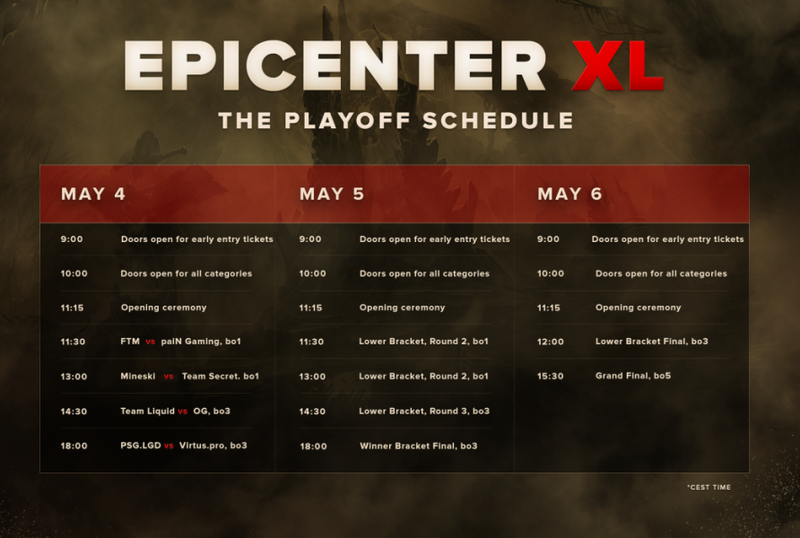 The world's best eight teams are going to compete for a prize of a million dollars and the champions title at EPICENTER XL. Visit the venue or watch our broadcasts online: don't miss the chance to witness this grandiose show! You can find remaining tickets here. Watch EPICENTER XL matches and see the players' emotions!